MISD has released a new mobile app giving users a personalized window into what’s happening in the district and on our campus. Get the news and information you care about and become involved. 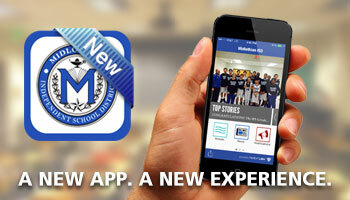 Free and available for both Apple and Android mobile devices, you can visit the MISD App Website to download today. This dynamic new application will take advantage of leading technology resources to connect you and other community stakeholders by using existing tools streamlining access to information under one umbrella. You can customize the information you receive and engage stakeholders with timely and responsive news and conversation about our district, our school, and our students. Here’s hoping you get started today! Note: The previous app, powered by SchoolWay, will be unavailable beginning March 18, 2015.